Paul offers a Wasp Nest Removal service in the Winchester, Headbourne Worthy and King's Worthy areas. At Hampshire Wasp Control we try to provide a service the same day as you call when possible or next day at the latest. 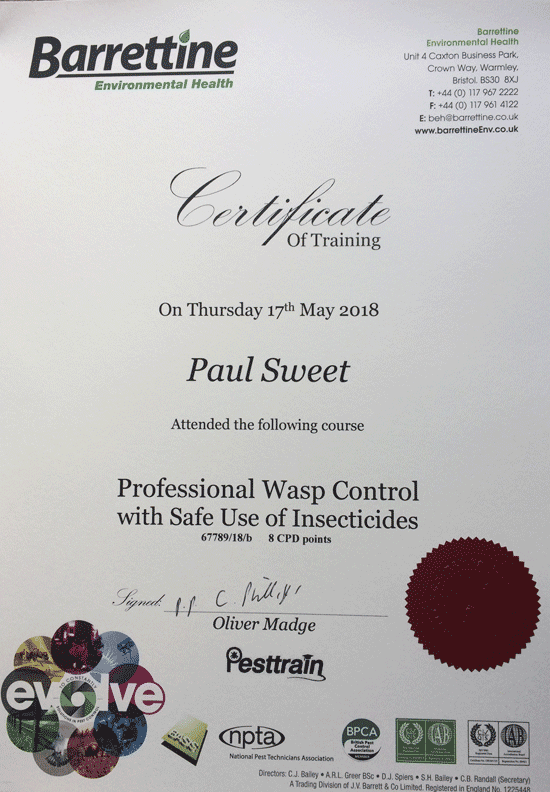 If you have a wasp or hornet problem and live in the Winchester (SO23) area and need to get rid of the nest fast, why not give Paul a quick phone call?